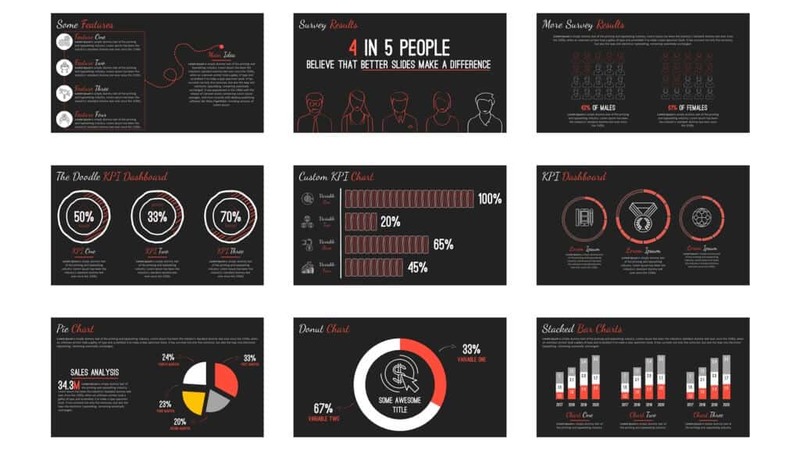 Check out the Business Casual PowerPoint Template by SlideCow. 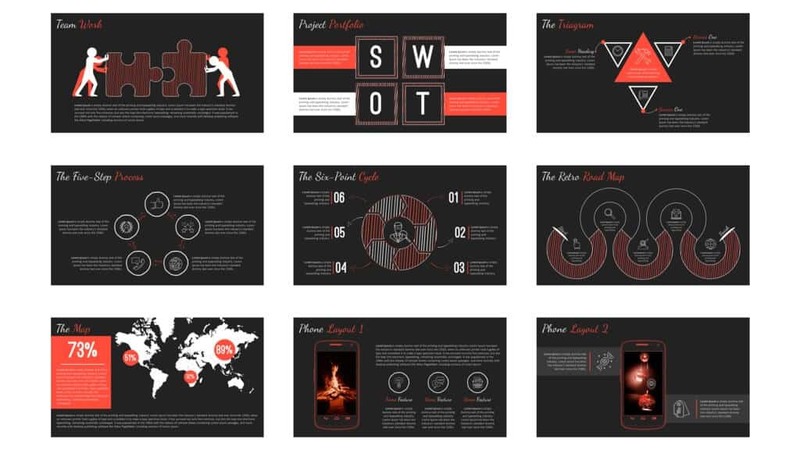 We love this template by SlideCow because it’s not only modern and fun, with its cool custom font and its hand-drawn graphics, but it’s also built using a dark background. This makes it great for presenting in a large room because the dark color is easier on the eyes than a bright white (which can be blinding). 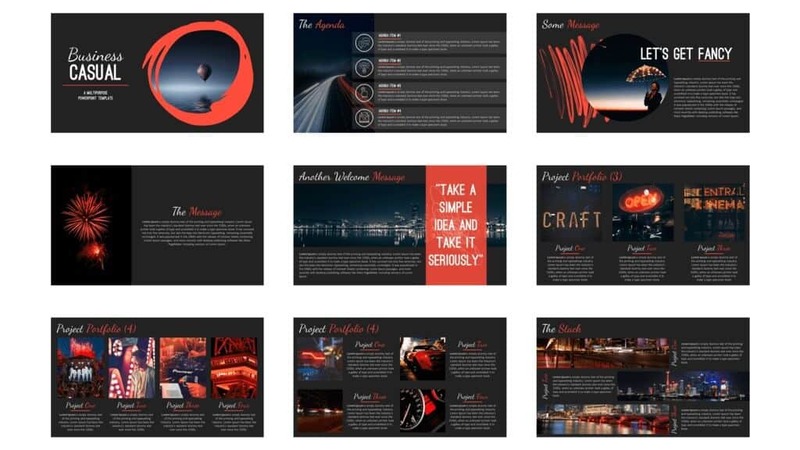 This 65-slide professional template is guaranteed to make your business presentation look stylish and engaging. As with all SlideCow templates, this one also comes with tips for how to best use many of the slides. 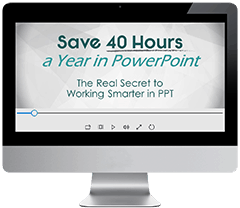 Tips include how to add/edit pictures, how to layer graphics on the slide, and how to adjust the formatting of certain design elements. 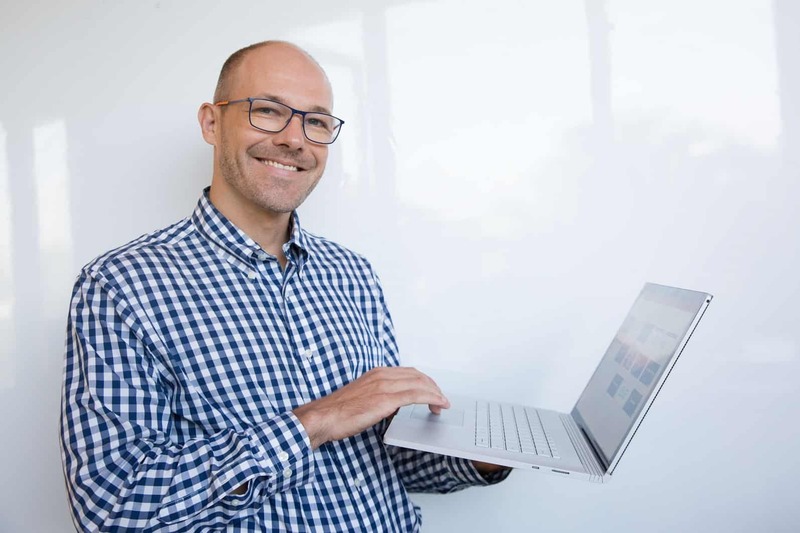 This template is best used for live presentations, due to its grey background, which is perfect for dark conference rooms or auditoriums. Also, its design is big, bold, and eye-catching, allowing you to present your information in chunks and keep your audience engaged. 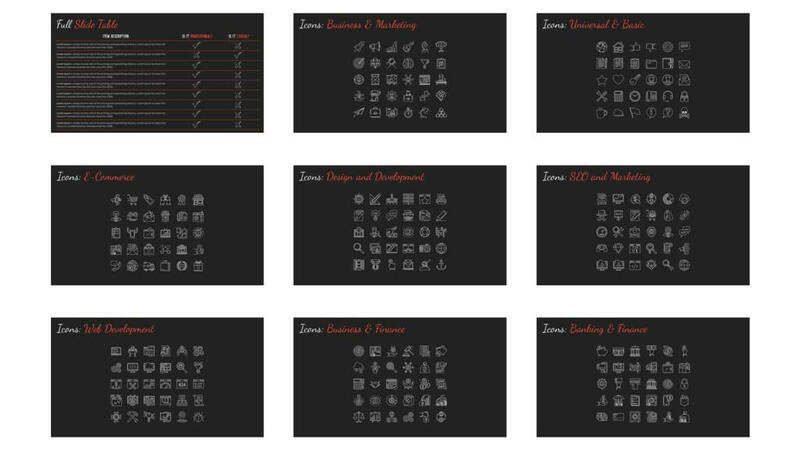 You can absolutely use this template for a ‘slide-doc,’ but you may want to double-check the grayscale settings in case your presentation needs to be printed (this will save you a lot of ink). 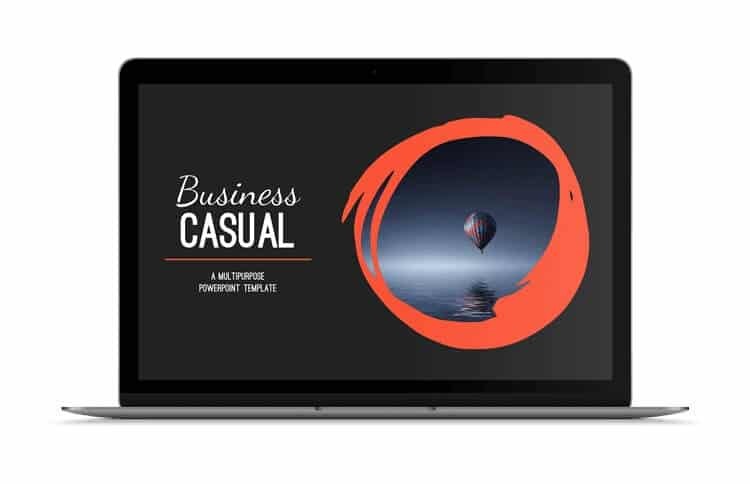 Download the Business Casual PowerPoint Template by SlideCow.